If you have uploaded a csv file of employees you can revert it for up to two days. 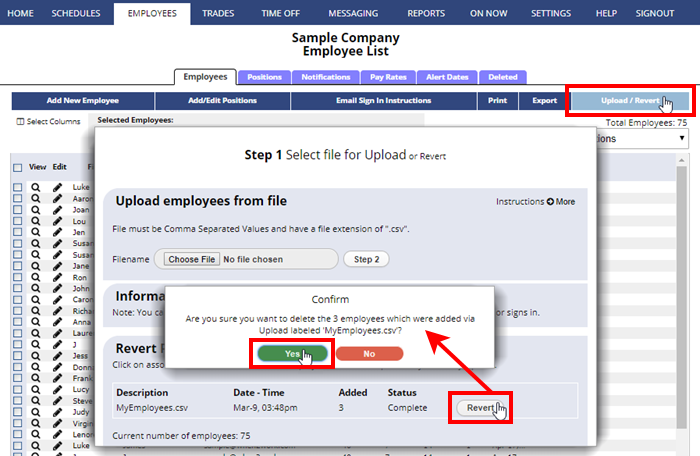 To Revert click Upload/Revert on the Employee List page. Click the Revert button and confirm to remove that list of uploaded employees.